Ask any climber what he or she is most concerned with when climbing Kilimanjaro and the majority of the time the answer is the summit attempt. While every other night on the mountain is spent sleeping in tents, this night is spent making the final ascent to Uhuru Point. The trek to the top is a grueling 4,000 feet climb which normally takes 6 to 8 hours. This is a significant amount of time to endure potentially subzero temperatures and strong winds while hiking slowly. What should climbers wear to keep warm? You should already have all of the required items from our complete gear list. Here is what we recommend you wear and carry during the summit bid. TIP: If it is a particularly cold night, double up on the base layer. TIP: The insulated jacket probably will not be needed while you are hiking. However, you will likely want it to put on during rest breaks to prevent from getting cold when you are not moving (note: put the insulated OVER your waterproof jacket so you do not have to keep removing and putting on your waterproof jacket). TIP: You will likely not need to wear the hiking pants, waterproof pants and fleece pants all at the same time. We suggest wearing the hiking pants and waterproof pants, while carrying the fleece pants in your day pack just in case. TIP: Do not lace your boots up too tight as that may actually make your feet colder by cutting off circulation. TIP: If you choose not to wear gaiters, you will probably need to empty gravel from your boots several times during the descent. TIP: Water freezes from the top down. Carry the water bottle upside down in your pack, with the cap down, to keep the lid from freezing shut. Also, most people forget to drink on the way up. Try to drink some water at every rest break. TIP: Your water bladder will probably freeze during the ascent. An insulated hose does not help because the valve freezes first. Drink from your water bottle on the way up and water bladder on the way down. TIP: Cold saps the charge from batteries. So keep your extra batteries and cell phone in your inside pocket of your jacket. TIP: If your hands are very cold, use one trekking pole and keep your other gloved hand in your pocket. Alternate hands every once in a while so each hand has time to warm up. Make a fist inside your glove. 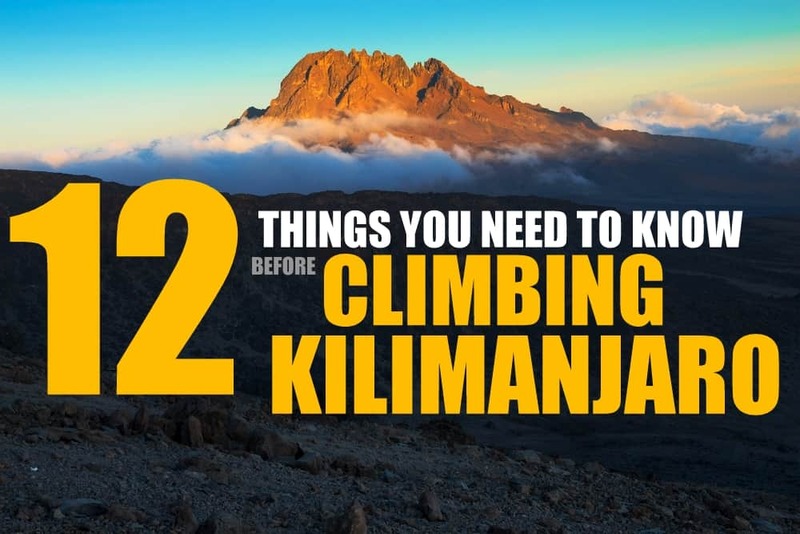 This is a general guide based on Ultimate Kilimanjaro®’s experience with thousands of clients. However, you should listen to what your body is telling you versus what we suggest. Always adapt to the environment based on how you feel throughout the hike. What works for one person may not work for you. You can find high quality gear at Backcountry.com, Moosejaw.com, and USoutdoor.com. Also see How Should I Dress for Kilimanjaro? Here is a summit video made by one of our clients. Comments Off on Can You Recommend a Sleeping Bag for Climbing Kilimanjaro? Comments Off on Can You Recommend a Mid-Layer for Climbing Kilimanjaro?